Working in broadcast news is hard — long hours, unpredictable schedules and next-to-impossible demands. You’ve probably been tempted to quit at least once before, right? 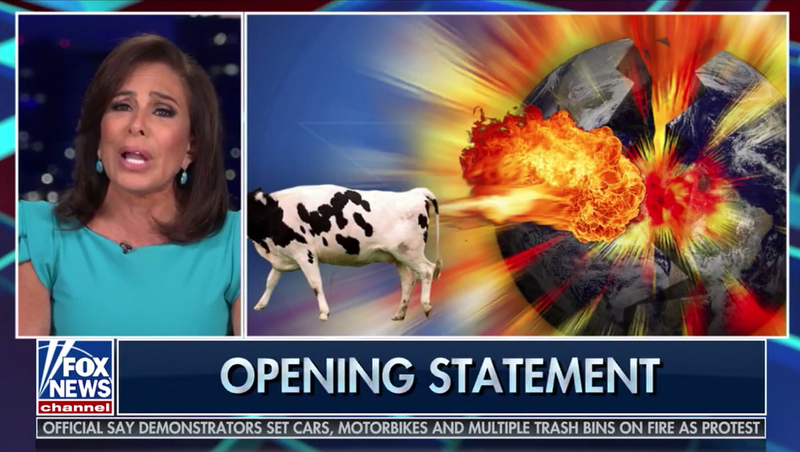 The graphic appeared in a large box next to a narrower box of Jeanine Pirro’s more-than-usual-disjointed “opening statement” — which the network lower third reminds you is “opinion” occasionally. 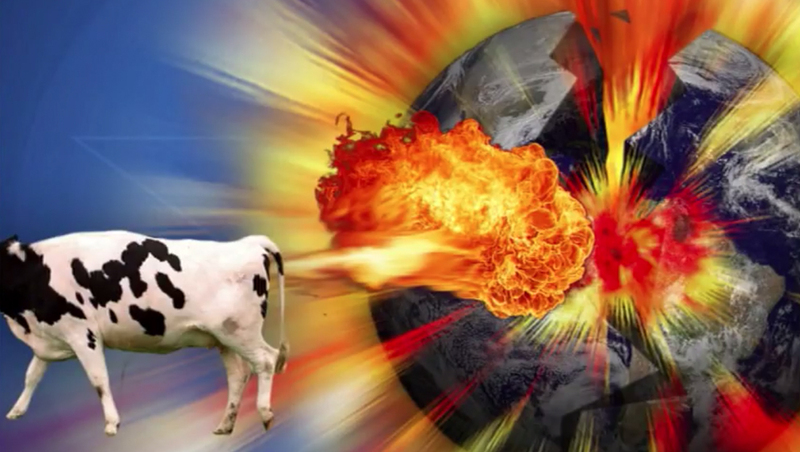 The image itself depicts a black and white cow (whose head is oddly cropped out of the frame) — with a blast of fire coming out of its posterior before blossoming into a full blow conflagration. Behind this is an image of the world, as seen from space, with a giant crack down the middle and bright bursts of light shooting outward.